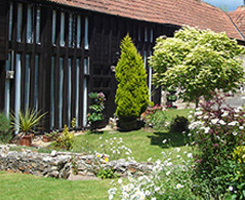 "Sit back and relax as you enjoy the surrounding Devonshire countryside and pastures"
"Enjoy fabulous self-catering holiday cottages, with stunning countryside views"
"Take advantage of our fantastic onsite facilities including tennis courts and pool"
countryside. Why not sit back, relax and enjoy the views? Open courtyard, stunning views, enclosed garden. 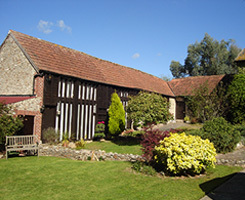 Farmhouse B&B in self-contained wing. We love dogs and welcome well behaved pets. Our pets are part of our family which makes it natural to want them with you during relaxing holidays in the country. The cottages have enclosed gardens and the cabin has a large lawned area outside which borders our fields. In the utility room attached to the cottages there is a sink ideal for cleaning boots and muddy dogs and we provide doggy towels for drying.There are walks from our doorstep along the East Devon Way and local footpaths which offer river walks and wonderful views of our stunning countryside. The hard Tennis Court is newly re-surfaced and is available for guests to use. Our 12 m x 5 m Heated Swimming Pool is open from the beginning of May to the end of September. We have an array of games such as pool table, table tennis & football, board games and outdoor games. is popular for the children. 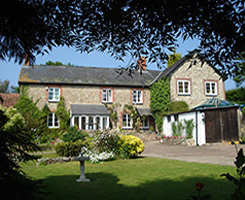 Two 4* self-catering East Devon holiday cottages, cabin and farmhouse bed & breakfast with heated swimming pool, tennis court and games room. 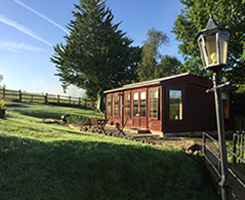 Our holiday cottages set amidst rolling Devon hills only a few yards from the 'East Devon Way' and close to the historic small town of Colyton. We are only a short journey from the coast including Beer, Seaton, Branscombe and Lyme Regis.